K.B. Carpenter : Blog: What are YOU up to? So, when can I see your work? So, what are you DOING with all of your free time? So, what have you DONE lately? So, WHAT have I been doing? 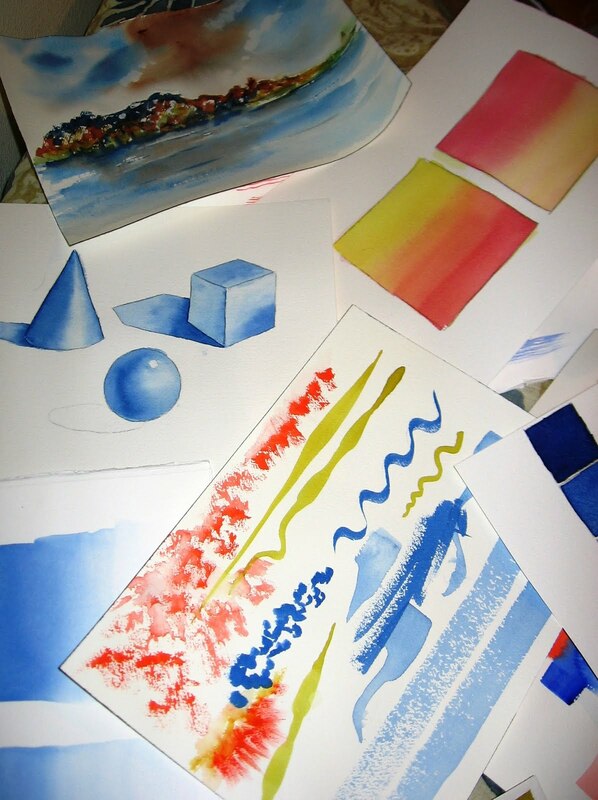 I guess you could say that I'm playing: with color, paper, brushes, pencil and paper. Faced with all of these questions, I have to ask myself if I'm accomplishing anything or just avoiding actually creating art that someone might want to buy (or NOT want to buy). Well, here's the thing: as a professional, not a hobbyist, I feel the need to understand...really understand...my materials. I have spend hours researching the properties of paint pigment and then creating charts for myself. I have created different color wheels, and mixing charts (they look like Mickey Mouse). I've been creating watercolor paper studies. I never realized how different the same paint appears on different paper. 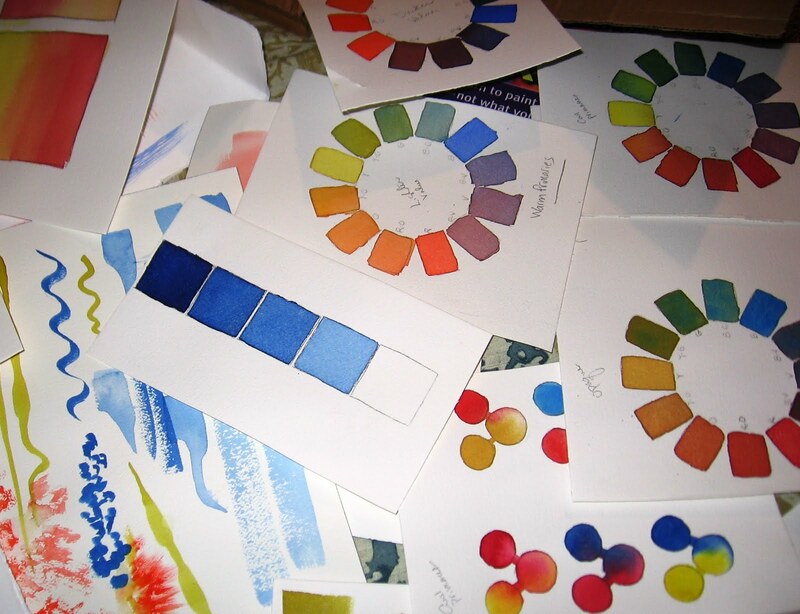 What are my favorite pigments? How do they react with other pigments, with wet vs. dry paper? What is my favorite paper? How do I want my pallet to be organized? I've just either followed other artists or taken wild stabs at things, hoping to get lucky. Well, I WANT TO KNOW!!! I don't want to follow other artists; I want to decide for myself. So that's what I've been doing. Congratulations! Blazing your own trail takes time and thought- it doesn't happen overnight, but it is all yours. One of my favorite pictures is one that you did as an "I wonder how this will work?" project. Enjoy! Wow. You've been a busy bee, my friend. I look forward to seeing your studio in person one of these days. In the meantime, I will continue to enjoy your art-making vicariously. I miss you!